An electric scooter is perfect for persons with limited mobility. It is a simple mode of transportation that can provide you better mobility than wheelchairs. Airwheel electric scooters are faster and simple to use and employ less physical work to use. It is really an outstanding low-cost method of traveling without resorting to further help. With today's technology, most recent electric scooter designs are actually more effective. And since it operates on electricity supplied by batteries you wouldn't be irritated by high gas prices. It really is far more convenient to connect a power outlet than visit the service station for fuel. As an added bonus, you appear way cooler on an electric scooter compared to a wheelchair. “Zoom around town on my Airwheel X8 wins me like 100% second glance rate,” said an electric scooter fan with a laugh. How can you choose a grownup electric scooter? There are plenty of things to think about. The height and weight of the individual who can be utilizing the electrical scooter determines the dimensions making from the electric scooter you have to buy. Light-weight electric scooters models are equipped for people below 250 pounds, as the heavyweight types are ideal for people around 400 pounds. Taller individuals will not have access to ample leg space in small electric scooters. Smaller electric scooters such as Airwheel self-balancing scooter could cost a lot less than bigger ones but be certain in the event that small scooter can offer a comfy ride to the one who will make use of it. You need to carefully look into the specifications supplied by the maker to completely match an individual as well as the electric scooter. There is also to think about where you can make use of the electric scooter. Could it be more outdoors or indoors? If you are planning to solely make use of the electric scooter indoors then the one-wheeled self-balance scooter Airwheel X-series will certainly be a better option. 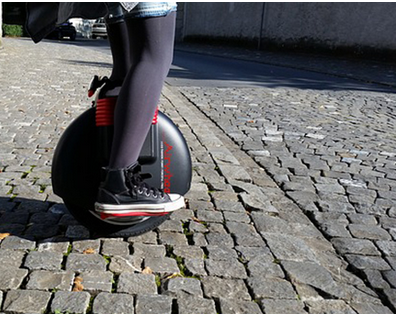 1-wheeled electric unicycle offer better ability to move, ideal for making the rounds indoors. And since two-wheeled scooters are lighter it really is simpler to drive or handle. Two-wheeled scooters, however, are equipped for outdoor usage. Using its sturdy design, 2-wheeled scooters like Airwheel S3 are engineered to evolve to rough surfaces which are typical outside. Additionally, there are three-wheeled electric scooters created for outdoor usage. A reduced and lightweight electric scooter will not be suitable on rough surfaces or long-distance travel. Around the downside, heavy-duty scooters might not provide ability to move required to go around indoors. Transporting the electrical scooter is another factor you need to consider. Take Airwheel scooter products as an example, small light-weight electric scooters are simpler to carry and take with you anywhere. On the other hand, heavy-duty electric scooters will most likely require vehicle lifts in order to be transported where you go. The convenience and comfort provided by electric scooters could be maximized with accessories like front baskets, headlight and cushion seats. Choose a suitable electric scooter that will provide you with the advantage of moving independently. Consider all of the right factors so you can be certain that you will be making the best choice.